$3.33 $2.66 You save: 0.67 ! 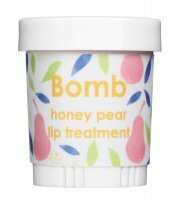 Lip Treatment - Cherry Blossom by Bomb Cosmetics. Intensive facial treatment. Thanks to it's sweet almond oil and olive oil, it perfectly moisturizes and nourishes lips. In addition, it protects against harmful external factors, so it works ideally in both winter and summer. The balm has a sensual, cherry flavor and aroma. 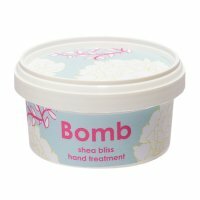 Natural aromas and ingredients in the formula will soothe your senses. The product was placed in a handy package. The cosmetic was not tested on animals. 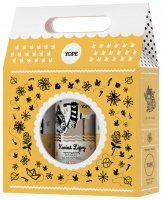 Intensely moisturizes and nourishes lips. 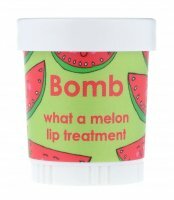 Bomb Cosmetics - Lip Treatment - What a Melon!